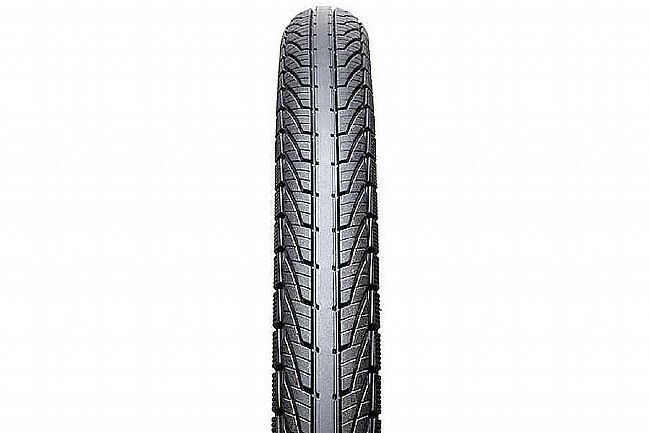 Modeled after Goodyear's Assurance All-Season automobile tire, the Transit Tour combines a durable, utilitarian construction with directional siped tread that offers unsurpassed all-weather traction. Constructed to eBike approved standards and with reflective side strips enhancing twilight and night visibility, the Transit Tour provides robust flat protection along with a comfortable ride for your next journey. 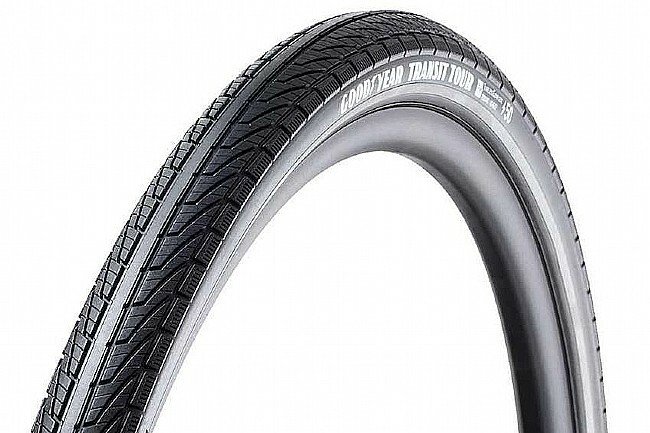 The Goodyear Transit Tour tire is available in three widths: 35mm (565g), 40mm (626g), and 50mm (769g). Tubeless ready.